Send the reservation through the way you wish (by telephone, via Fax, E-mail or filling in the reservation’s form at the web site on line reservations). Driver’s age 23 years and over. Driving license, Greek, of E.U. state-member or international, which must have been issued at least one year ago. Minimum lease time 24 hours. The lessee is charged with fuel’s cost and any fines by traffic offences. The car can be rented only for legal uses. The lease is valid within the boundaries of the Greek State. The lessee can’t drive out of Lesvos island, without the company’s documented permission. The cars are globally insured in the case of car’s fire too and for damages for over the sum of 700 €. The insurance doesn’t cover damages caused by driver being under the influence of alcohol or drugs. Also damages are not covered when caused by the car’s movement on not asphalt paved roads, taking part in car races or other illegal activities. Damages in the internal, at the lower part of the car and at the tyres aren’t covered by any insurance. 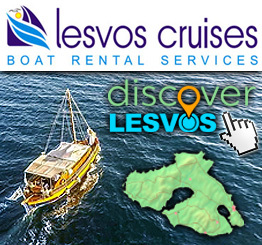 LESVOS CAR RENTAL Company delivers and receives cars from/at the airport and the harbor of Mytilene, hotels (in the towns of Mytilene, Vatera, Molyvos) without any additional charge of the lessee during the company working-hours ( 8:00-21:00). For delivery or receipt out of the above working hours or the towns Mytilene, Vatera, Molyvos, there’s additional charge for the lessee after relative agreement. Children’s seats are only available after the reservation and with an additional charge of 2 € per day of lease. The lessee can prolong its lease after the in time updating of the company. Every car is delivered to the lessee maintained, checked and able for use of 5,000Km without the need of regular maintenance. 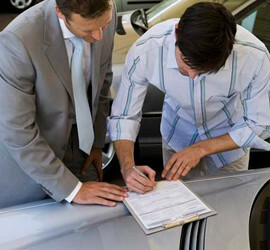 In the case of long-termed lease and if maintenance has been previously scheduled, LESVOS CAR RENTAL Company replaces the vehicle and delivers a new one at the place the lessee stays (house, office, hotel) without any additional charge. LESVOS CAR RENTAL Company replaces without any additional charge and independently on lessee’s responsibility or not – immobilized vehicle because of breakdown with the exemption of the following cases: immobilized car by Traffic Police because of traffic offence or dangerous driving.